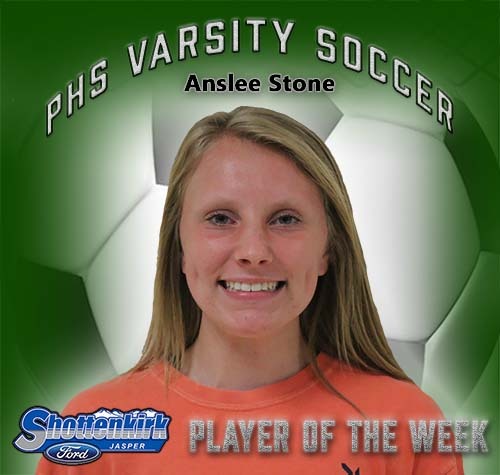 Anslee is a freshman and has been an awesome addition to the girls varsity soccer team this year. Anslee's speed, amazing shots, upbeat positive attitude, and determination has us very excited for the next three years! !